The spin structure of elementary particles has been considered a pure quantum mechanical and relativistic property. It is attributed to Pauli the statement that the spin cannot be explained classically. But what Pauli said was that “the two-valuedness of spin is a physical property which cannot be explained classically”, i.e., the spin of elementary particles is quantized. 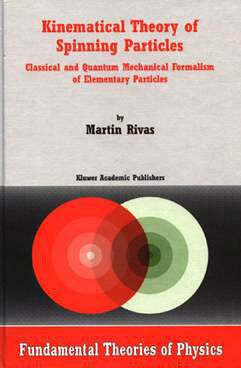 Please, see here what very excellent quantum mechanics books say about the spin of the electron. The spin is an angular momentum and as such it is a mechanical property related to the rotation invariance of the fundamental physical laws and in this sense it has nothing to do with relativity. Any angular momentum is a property defined with respect some fixed point and this point has to be clearly identified. Dirac spin operator is not the angular momentum of the particle with respect to the center of mass. It is clear that the sum of the three spin observables associated to the quarks cannot give the spin of the proton. We have to add the three angular momentum observables of the quarks with respect to their centre of masses. See the discussion concerning the generalized use of two different spin observables for describing the angular momentum of particles. 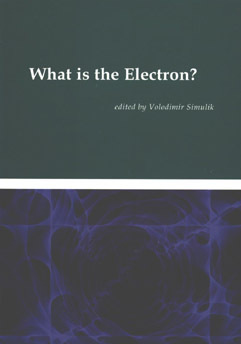 It is usually stated that the electron does not rotate. We see that all matter which surrounds us moves and rotates. According to this the only exception are the elementary particles. It is nonsense. The electron has a directional property, the spin, and the associated magnetic moment, which define a direction in space. These properties change their orientation, and thus we associate to this change of orientation a rotation of the electron. What does not change is the absolute value of the spin. It is physically impossible to modify the value of the spin of the electron. This has to be raised to a fundamental physical law. Elementary particles, if not annihilated, can never be modified its internal structure and therefore they do not have excited states. This can be included as a complementary property of the Atomic Principle. The atomic principle admits that matter cannot be divided indefinitely. After a finite number of steps in the division of matter we reach an ultimate object, an elementary particle. But the distinction between an elementary particle and a bound system of particles is that an elementary particle, if not annihilated with its antiparticle, can never be modified its structure by any interaction. An electron, when accelerated, remains an electron. This means that an elementary particle cannot have excited states and, if not destroyed, its possible states are only kinematical modifications of any one of them. If the state of an elementary particle changes, it is possible to find another inertial observer who describes the particle in the same state as before. For the description of an elementary particle it is sufficient the description given by any arbitrary intertial observer. It is the kinematical group of space-time symmetries (the kinematical group) which supplies the classical variables for describing its states. See the following GEDANKEN EXPERIMENT about the possibility of making a film about the evolution of an elementary particle and how its states can be described. Find here a DIDACTIC DEMO of the proposed electron structure where you can analyze the interaction of two electrons, including the formation of a bound pair of spin 1. Electron Collision Model for 2D spinning particles. Is General Relativity a restricted theory? Is General Relativity a v/c -> 0 limit of a Finsler geometry? Is General Relativity a simplified theory? Is General Relativity a simpler theory? Contribution to the ICTP 2011, Moscow Open University International Conference, June 20-24, 2011. Proceedings published in Quantum Computers and Computing vol.11, 2011. Contribution to the SPIN-2010 Conference, Julich (Germany) Sept 27-Oct 3, 2010. Contribution to the IARD08 Conference. Thessaloniki June 2008. Plenary lectures of the Advanced Studies Institute, Symmetries and Spin, Prague 19-26 July 2006. Is there a classical spin contribution to the tunnel effect? Kinematical theory of spinning particles.